LCD TV, DVD player, Internet connection, fully equipped kitchen. TV, LCD TV, DVD player, Internet connection, fully equipped kitchen. (1), living room, kitchen, salt-water pool/jacuzzi (private). room, kitchen, salt-water pool (private). room, kitchen, salt-water pool (shared). Gassan Lake City Golf Club - 20 min. Future CNXMovie Studios at less than 10 km. Sankamphaeng hot spring; 15 km. Borsang handy craft village; 10 km. Mae Kam Pong mountain tour; 40 km. long neck village); 40 km. Chiang Mai Zoo, Doi Suthep Tempel and Summer Palace of the King; 35 km. Chiang Mai city center; 25 km. Make your dream comes true! Design Villa Kinkala Bed and Breakfast is now for sale. living room and a fully fitted kitchen. conditioned and obtains satellite TV and wireless internet. 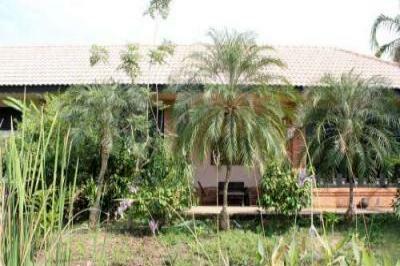 Resort and close to Chiang Mai City. Sankamphaeng, Chiang Mai, Thailand and run a small business. apartments and the detached house and the life stock.